Providing Music Therapy throughout the Big Bend Area of north Florida and Tallahassee. 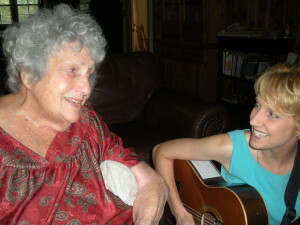 Some of the most positive effects of music therapy are seen in the elder care population where music can be used to stimulate, calm, or encourage reminiscence to the sound of a familiar tune administered by a caring professional who is immediately available to engage with the client as they relive memories or respond emotionally. A board-certified (MT-BC) music therapist will design the appropriate program using “client-preferred music” for your needs.